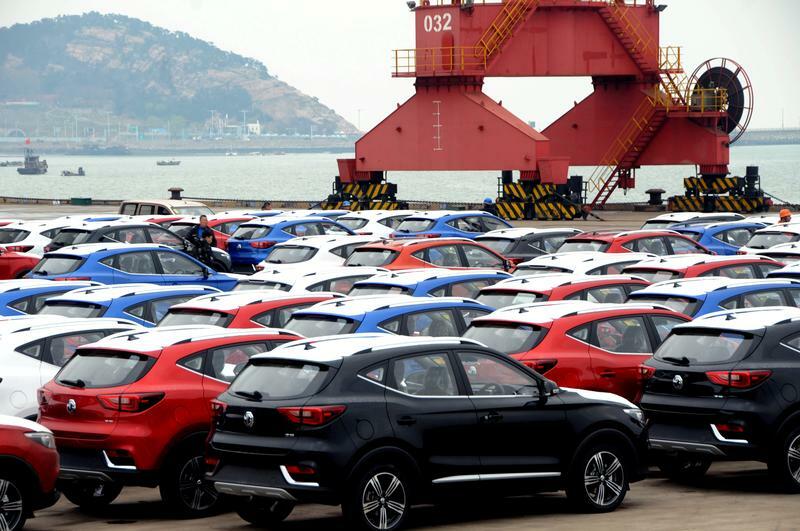 FILE PHOTO: Sports utility vehicles (SUVs) waiting to be exported are seen at a port in Lianyungang, Jiangsu province, China April 5, 2018. Shanghai Dongzheng Automotive Finance, which provides loans for car buyers in China, is planning an initial public offering in Hong Kong to raise up to HK$3.4 billion (US$428 million), according to a prospectus filed with the stock exchange on March 14. At the middle of the range, the listing would value the company at HK$11.2 billion. Parent company China ZhengTong Auto Service, already listed on the Hong Kong Stock Exchange, owns 95 percent of Dongzheng’s shares, the filing says. Its market capitalisation was HK$10.8 billion at close of business on March 14. CICC and Credit Suisse are joint sponsors of the deal.